Get your St. Patrick’s Day festivities off to a flying start, with a lively and entertaining evening of music from Dublin Concert Band and Wind Band Tartu, Estonia. Dublin and Tartu are both designated UNESCO Cities of Literature, but we have more than just great writers in common! Dublin Concert Band is Ireland’s leading amateur concert band, and we are delighted to present this concert with our very talented musical friends from Tartu. Dublin Concert Band is Ireland’s leading amateur concert band. For more than 60 years, the band has brought together an energetic mix of musical talent, youth and experience, ethusiasm and maturity. Our ethos is all about making excellent music in an environment of respect, friendship, and fun. The Band has been honoured to represent Ireland at international festivals in Denmark, Italy, Germany, France and the Netherlands, and we have competed at the British Campionships and at the European Festival of Bands. Dublin Concert Band has won the Irish National Band Championships on more than 35 occasions, as well as winning the Northern Ireland Band Championships and the South of Ireland Band Festival on numerous occasions. In 2018 Dublin Concert Band celebrated its 60th Anniversary with a sold-out concert at the National Concert Hall, Dublin. In January 2019 the Band began an exciting new era with the appointment of our Musical Director Brendan Breslin. We’re looking forward to making more great music and lifelong friendships over the next 60 years. Wind Band Tartu was founded in Tartu, Estonia, in 1948. The Band consists of approximately 50 both professional and nonprofessional musicians and has successfully represented the city since its formation. 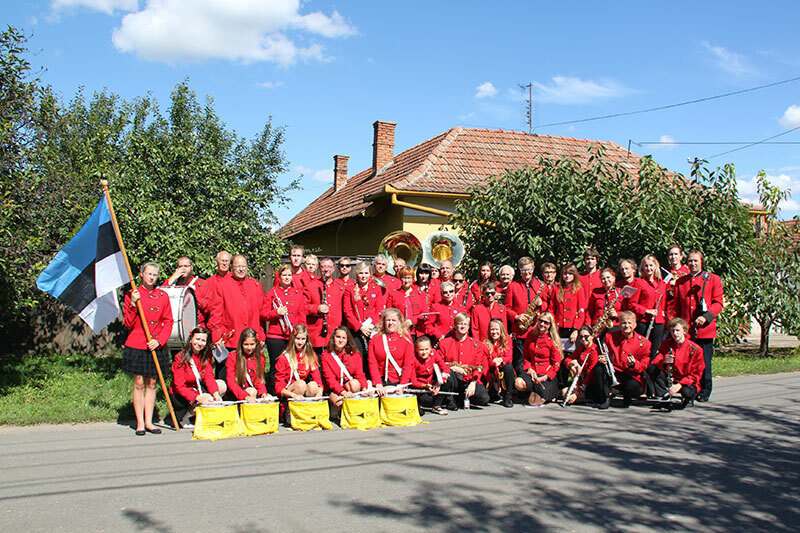 Wind Band Tartu has already performed in Russia, Ireland, Germany, Finland, Sweden, Latvia, Lithuania, Poland, Belarus, Hungary and Czech Republic. In 1990 the Band performed in Ireland in Limerick and Dublin at St. Patrick’s Day festivities. The band is the main organiser of the annual International Wind Band Festival Mürtsub pill. Wind Band Tartu’s repertory consists of symphonic, march, dance and folk music. The Band also has wind ensembles, wind instrument studio and marching drummers – Tartu Marching Drum Ensemble (artistic director Helen Kasemaa). Orchestra’s main conductor is Margus Kasemaa.